The opportunity to help out with the Romania Christmas shoebox appeal was very dear to our hearts again, and this last month it was made even more real for us when, not only did The Laurels Primary School support the appeal, but they would let Sarah, a Teaching Assistant, be granted charitable leave off to go and help distribute some of the boxes on behalf of the school. I had been to Romania about half a dozen times but for Sarah this would be her first chance to experience it firsthand. So we travelled with a small team on behalf of the charity AMEN Trust, flying out to the city of Cluj before journeying on to our base into town of Sighisoara where we were to meet up with the AMEN partners at Manna Church in the town. They have ongoing projects throughout the year working with the poor gypsy communities – the shoebox appeal is just one way they show the love of God to these families and individuals. So our trip started with making up food parcels to be delivered to our first village called Laslea. It was a community very much abandoned with little outside support or aid. The stark reality of the community was a quick reminder to me, and a fresh impression to Sarah, of how basic and poor some of these places were. Food parcels comprising of rice, potatoes, vegetables, oil, fruit and pasta amongst other things, were quickly delivered on a house to house basis and were gratefully received. Its amazing how some of the simple yet basic produce, that we so often can take for granted, can mean so much when you have so little. There was a spiritual darkness we experienced at this place and later in the week, we were to return and take a christingle service bringing the light of Jesus into this place, before handing out shoeboxes. Later in the day saw Sarah being involved with a women’s meeting at Casa Vieti, a pro-life centre for young mums and pregnant women, to take refuge or seek counselling and support during and after their pregnancy. Romania has one of the highest abortion rates in Europe, a throwback to the communist days of Ceausescu. Whilst Sarah and the team shared testimonies, myself and some of the men collected firewood and delivered it to poor households who could not afford to buy the firewood themselves. It had been a mild winter so far but could change at any time and firewood would not only be used for heating the stove in the small houses but would be used for cooking too. 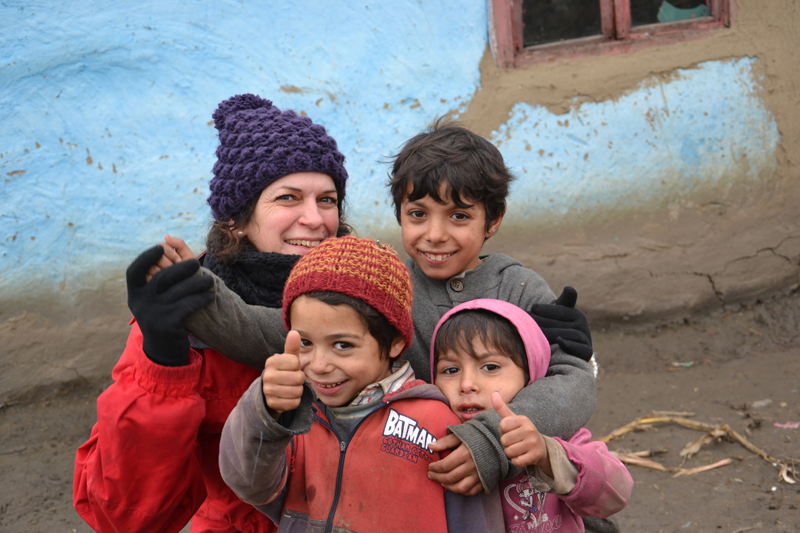 The second day took us to the village of Soard where we were greeted by many families and children who had heard the shoeboxes were being delivered! 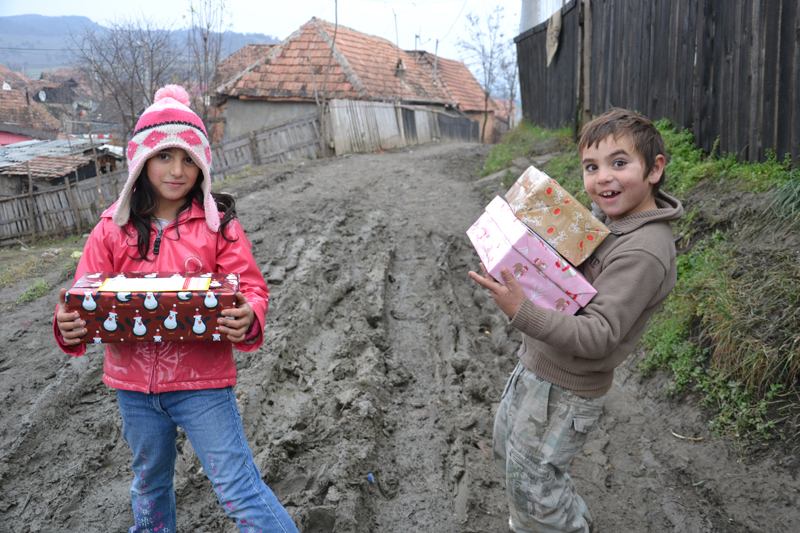 On meeting them we would split into teams and wander around the village delivering the shoeboxes to all the children. A list had been prepared by Manna Church so the numbers of children were known to the volunteers. Children would flock to us and play with us before taking us to proudly see their homes, often a single room where the whole family would live and sleep – a lot of times this building would be no bigger than most British living rooms and families of 8-10-12 would not be uncommon. Just mud houses formed with tree branches as a frame. It was a sobering privilege to be invited into their homes. We did deliver shoeboxes to a village one evening which proved to be tricky due to the lack of street lights so you were relying on nothing more than torches. We spent 4 hours wandering around in the pitch black. Without the presence of artificial street lights we can easily say we have never seen the sky so clear as we did that night and the stars stood out so clearly you could not help but be reminded of John 8:12 where Jesus speaks about being light in the darkness. When there is complete darkness even the smallest of flames can light up that place. Towards the end of the week we travelled some distance to visit two state orphanages which Manna Church have an ongoing relationship with. Both incredibly sad paces but at the same time there was potential for much hope too. This 1960’s Ceausescu communist concrete building would have housed between 600-1000 orphans at the height of the communist era but now many orphanages like this have gradually been closed down. The two orphanages we visited had about 110 children in each. When we use the term orphanage the majority of the children are not parent-less, there have just been abandoned by their parents due to too large families or not being able to cope or a parent suffering from illness. It was so sad to think the majority of the children had parents but they were not wanted. We stayed overnight at the first orphanage which gave us great empathy with the children staying in this stark place for one night – they lived here all the time. The second orphanage appeared less well supported and was in quite a rural location, cut off from the outside world. The first orphanage had been in a small town. But to see 40-50 children between the ages of 3-12 years, in the dining hall ready to greet us was so touching and a small service took place where the children sang to us before we gave out cuddly toys and then the shoeboxes. The children’s faces when they saw the teddies were a picture of delight, to see them open a shoebox full of other items was too much for most of the children to cope with. I think it is fair to say these seemingly insignificant shoeboxes we make back here in the UK make a world of difference to the children out there. We know because we have seen it firsthand. We may not be able to change the world but we may be able to the change the world for one person. As we looked around the room all we saw were the most beautiful children who just needed to be loved. How could any parent abandon them? We were taken by the children to see their dormitories where there were 10-12 mini-beds, likes the 7 dwarfs beds – they all shared these rooms which was really sad to think about. The surroundings were so basic and without curtains, pictures, toys and games. It all seemed too difficult to accept in the 21st century. It was suggested we leave after 2 hours while the children were having lunch – we were told it was best to exit when they were distracted otherwise staying any longer would be too much emotionally for our team as it would be the children. As we left this place we listened to Christmas songs on the radio talking about driving home for Christmas and being with the ones you love at Christmas or being lonely this Christmas and we were hit with the fact these children would have none of these things. We both sobbed for an hour. It felt like our hearts were breaking with the same pain that God feels for them. The best (or worst) part of the week had been left to the last with our visit to the orphanages. We had prayed before we left the UK that we would have God moments whilst in Romania, we didn’t just want to be spectators we wanted to roll up our sleeves, get stuck in and see the love of God in action. But we also wanted to be changed. 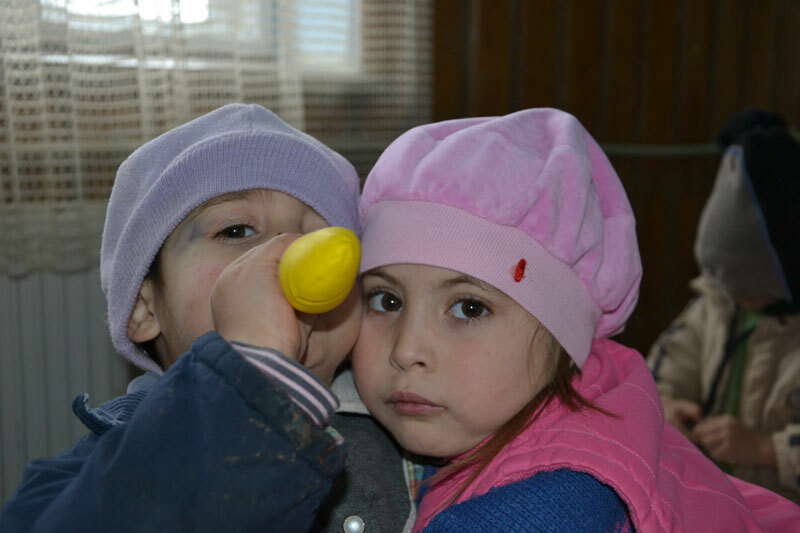 We believe we experienced many God moments on our trip, not least the visit to the orphanages. And whilst those children may have no earthly father who cares for them, we know our heavenly farther cares for each and every one of them. But there has to be more and we are still processing all the emotions we experienced to see what more God wants us to do in reaching out and helping those in need. In the meantime we have started raising money for the orphanage in conjunction with the Amen Trust and if you want to help out please do contact us. By the way we shall be beating the drum again this year to see if we can make a difference in a small corner of the world. Here’s to Christmas 2016!